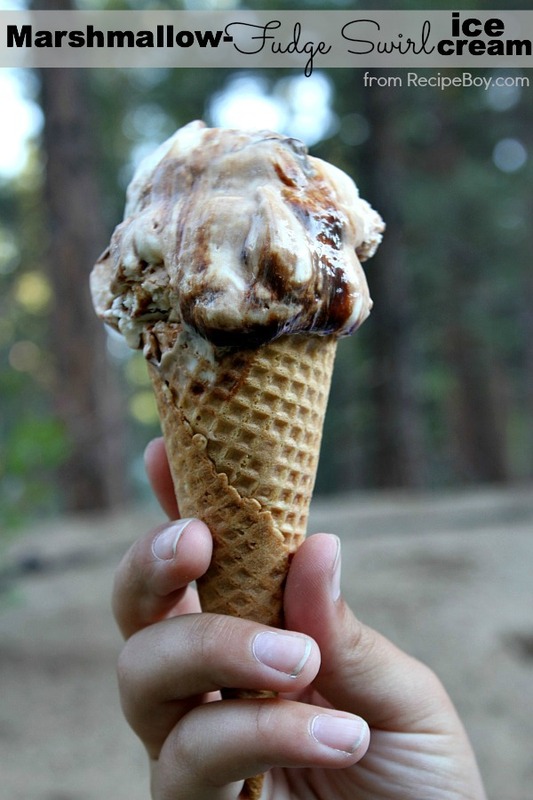 It’s the hottest time of the year and what would be better than a Marshmallow- Fudge Swirl Ice Cream Cone to cool off with? I can tell you the answer. 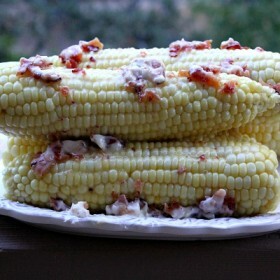 Nothing is better to eat than this during summer! 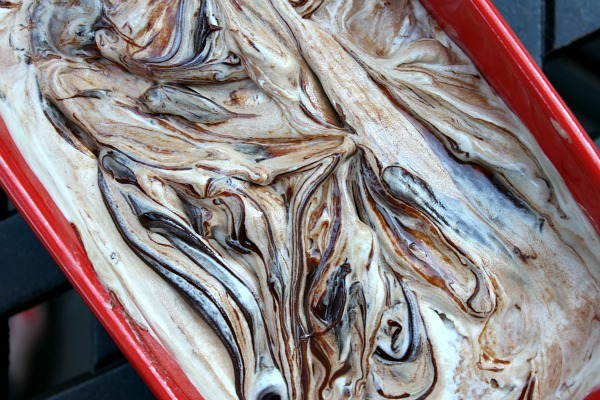 Just stare deep into the fudge and imagine the taste of gooey marshmallow and smooth fudge swirl. It tastes even better than it sounds! I just had to take a couple licks between shots. This picture was taken after a few licks. I couldn’t restrain myself during the pictures. My mom and dad tried some of this and they totally loved it too! It’s the NEW super flavor that everyone is craving. It’s just too good! 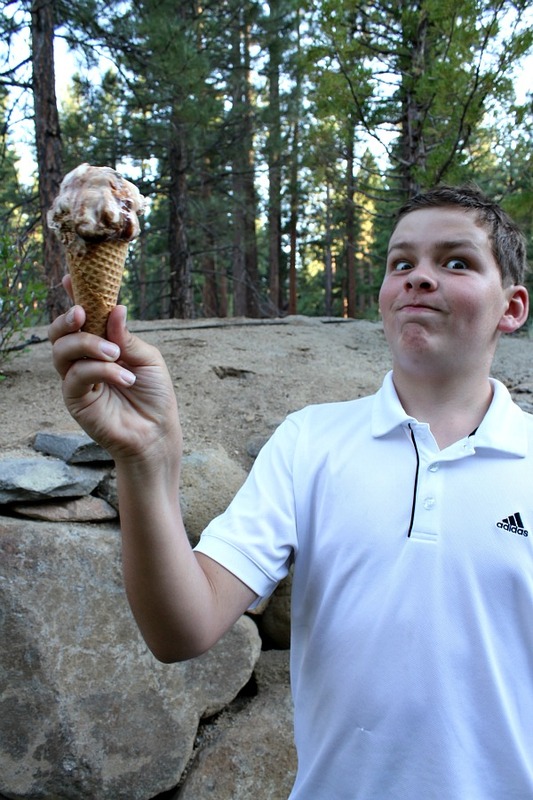 What is your favorite flavor of ice cream? 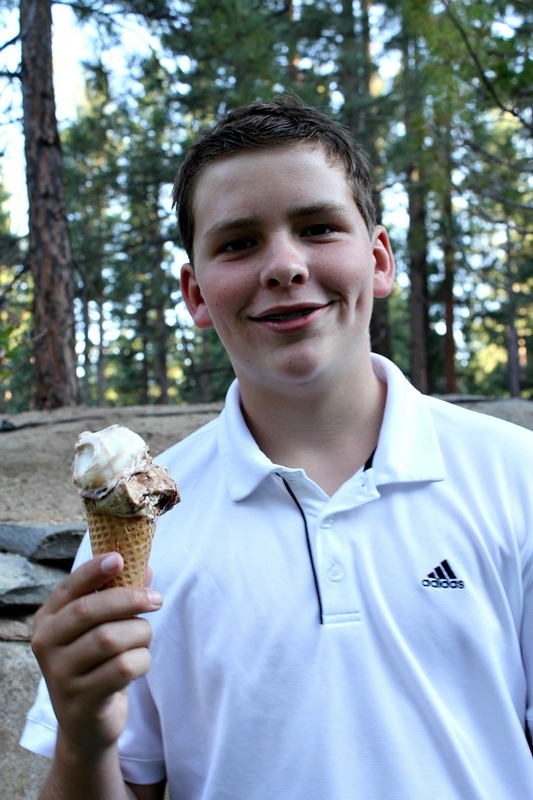 And even a kid can make superb homemade ice cream… Like Me! 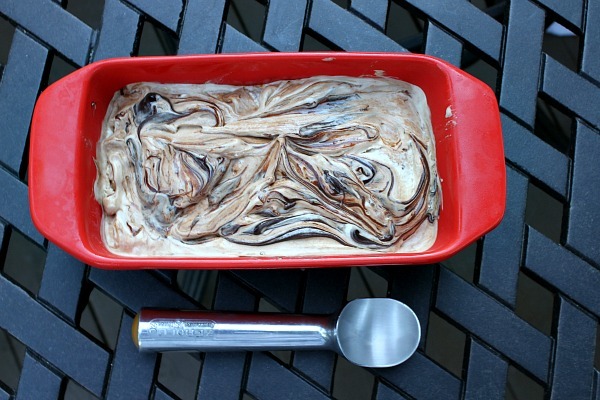 It's marshmallow ice cream with a lot of hot fudge swirled into it! 1. First of all, make sure your ice cream maker insert has had a chance to freeze for a full 24 hours. 2. Heat the cream, half and half and marshmallows in a medium saucepan over medium heat. Stir until the marshmallows are melted into the cream. Remove from heat and stir in the vanilla and add the salt. Pour the mixture into a bowl, cover it and refrigerate overnight or until completely chilled. 3. Process the ice cream base in your ice cream maker according to your ice cream maker instructions (ours took about 30 minutes to turn into thick ice cream). At the end of processing, spoon in some generous spoonfuls of hot fudge. You just want to swirl it in there instead of getting the whole thing to turn into chocolate. 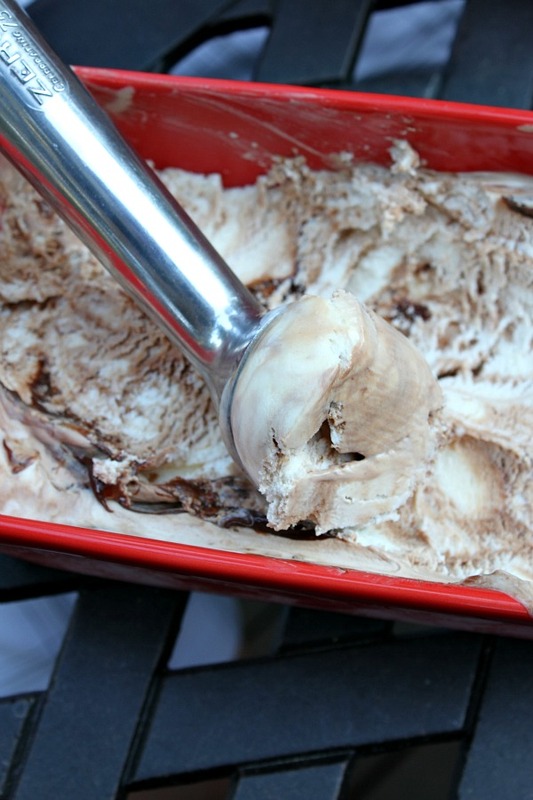 Turn off the ice cream maker and scrape the ice cream into a freezer-safe container. You can swirl in more fudge if you want. Freeze until firm, then scoop and eat! 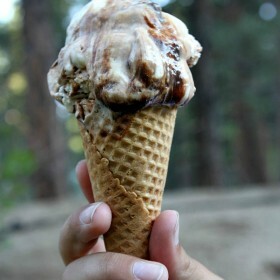 My favorite ice cream is BUTTER PECAN!! 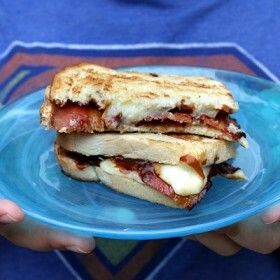 This looks not only amazingly yummy, but also gluten free. So even a grandma can enjoy homemade ice cream…like me. I love love love ice cream with marshmallow sauce and hot fudge. You put it IN the ice cream. Genius. Cream, yes… but milk probably won’t be thick enough. Hey There, Recipe Boy! My daughter and I made your ice cream recipe tonight. It is out of this WORLD!!! Thanks so much for sharing it. We will come back and try another of your recipes soon! YUM!! awesome- glad you liked it!